Hull Maritime Museum is set to receive new ramps improving access to its main entrance of the striking building. Hull City Council has successfully bid for £150,000 funding from the DCMS Wolfson Foundation to install two new access ramps and an access staircase to one of the three domes. The new ramp at the front entrance to the museum will provide a better welcome for more people, providing all visitors with the same experience. This successful bid will also contribute to the wider £27.4m Hull: Yorkshire’s Maritime City project funded by the Heritage Lottery Fund and Hull City Council, that will transform five key maritime treasures right in the heart of the city centre including the Arctic Corsair, North End Shipyard, Spurn Lightship, Dock Office Chambers and the Grade 2 listed, Victorian building, the Hull Maritime Museum. The museum will expand its exhibition space by 50 per cent with improved environmental controls to create exciting exhibitions showcasing the internationally important maritime collection. Councillor Daren Hale, Portfolio Holder for Economic Investment, Regeneration, Planning, Land and Property, said: “We are delighted to receive this funding and fully supports our ambitious Hull: Yorkshire’s Maritime City project to reaffirm and celebrate Hull as a maritime city. Minister for Arts, Heritage and Tourism Michael Ellis, said: “Our museums and galleries are among the best in the world and we are rightly proud of these institutions. The DCMS/Wolfson Fund demonstrates how the government and philanthropic organisations can work together to boost our museum sector. Paul Ramsbottom, Chief Executive of the Wolfson Foundation, said: “We are delighted to provide this funding through our longstanding partnership with DCMS – an excellent example of how we as a charity can work together fruitfully with government. We are grateful to DCMS for matching our funding. The work will get underway in mid-2019 and is expected to take five months to complete. 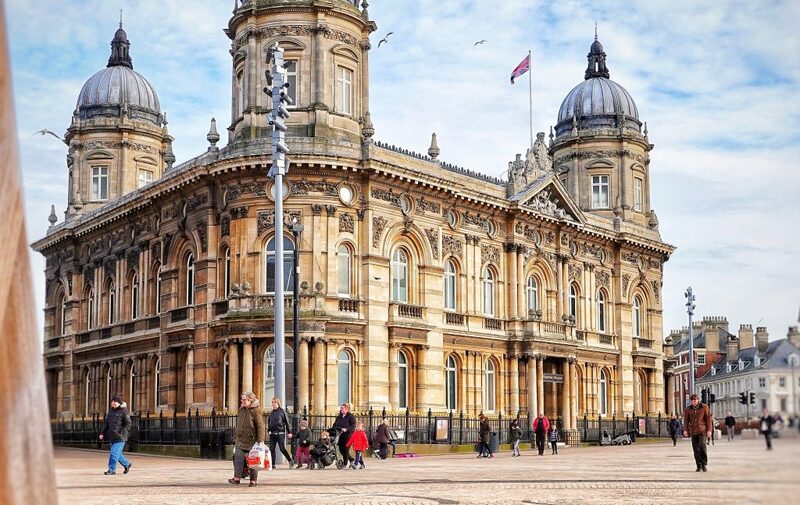 Be the first to comment on "Hull Maritime Museum to ramp up access"